The FHA Streamline Refinance is a special mortgage program exclusively for home owners with existing FHA mortgages. If you have a conventional, VA or other type of mortgage, you cannot get an FHA Streamline Refinance. 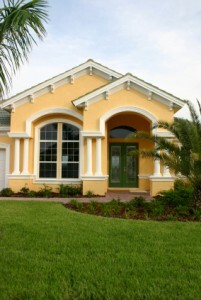 If you have an FHA mortgage currently, it is the easiest and fastest way for you to refinance. One of the best things about an FHA Streamline Refinance, especially in today’s market here in Ocala, is that there is no appraisal required. FHA will use your original purchase price, in spite of what your home may be worth today. Even if your home is upside down and you owe twice what your home is worth, you can get an FHA Streamline Refinance without any additional cost or penalty. And, because there is no appraisal, the time and expense of an FHA Streamline Refinance is less. In addition to no appraisal, there is no credit requirement with an FHA Streamline Refinance. You can have a low score, late payments, charge offs and collections because there is no credit verification. Instead, the lender uses your current mortgage payment history as a gauge for future loan performance. Therefore, your mortgage payment history is very important. You must be current on your mortgage, you must have perfect payments for the last 90 days, and you can only have one late payment in the last 12 months. Income and employment are not important with an FHA Streamline Refinance. Because there is no income or employment verification with an FHA Streamline Refinance, you can have high debt ratios, low or reduced income, or even be unemployed. This also means a significant reduction in the paperwork and documentation you must provide to be approved for an FHA Streamline Refinance. 210 Day Waiting Period. It must be at least 210 days since you closed on your current mortgage and you must have made at least 6 payments. Reduction of Payment. The FHA Streamline Refinance must reduce your mortgage payment by at least 5%, unless you are refinancing an adjustable rate to a fixed rate, or 30 year to a 15 year mortgage. No cash out is allowed with an FHA Streamline Refinance. 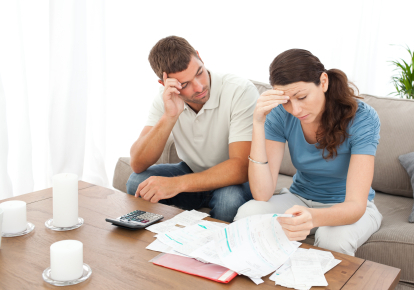 You cannot increase the loan amount to pay closing costs or to pay off any additional liens. This may mean that you will have to pay closing costs at the time of closing, or increase the rate so that Landmark Mortgage Planners can pay those closing costs for you. This is called a “zero-cost FHA Streamline Refinance”. Get a rate quote on zero-cost FHA Streamline now. You can get a fixed rate or adjustable rate mortgage with an FHA Streamline Refinance. If you have a variable rate – you can change it to a fixed rate. You can also get a 15 year or 30 year term. If you have an FHA mortgage, you already pay a mortgage insurance premium (MIP). If you obtained your current loan prior to June 1, 2009, you may not have much of an increase in either your up front or monthly MIP. If you closed after that time, you may pay a little more in upfront or monthly MIP, but because of low rates you may still have a significant savings in your overall payment. Also, regarding the upfront MIP, we can check to see if you are entitled to a refund of your original MIP, which in many cases significantly reduces the actual cost. This refund decreases every month that you hold your FHA mortgage, so it is rarely a good idea to wait to refinance with FHA.